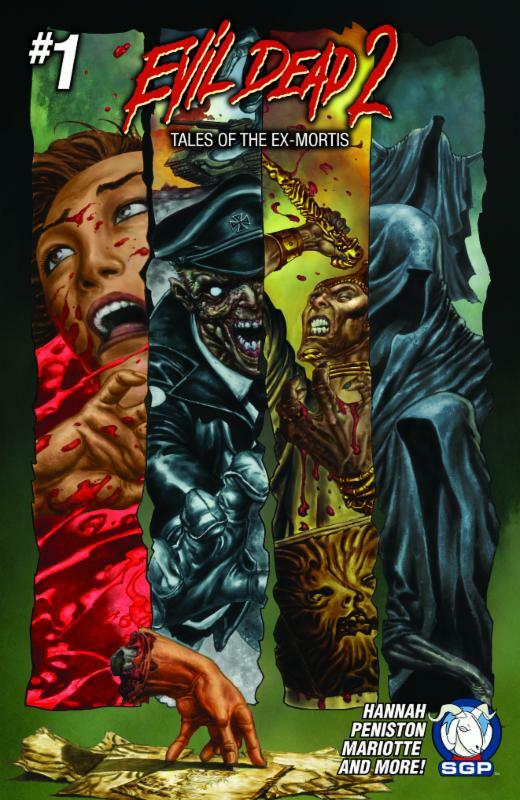 The Evil Dead Universe expands in August with Space Goat Publishing’s Evil Dead 2: Tales of the Ex-Mortis #1. 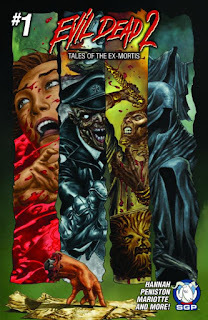 The new anthology mini-series will feature original stories set in the ED2U from Jeff Mariotte & Marsheila Rockwell, Ivan Cohen, Justin Peniston, Georgia Ball and Frank Hannah, the writer of Evil Dead 2: Dead By Dawn. The new mini-series focuses on the open-ended questions from the movie Evil Dead 2. “The ED2U is a rich, untapped place that spans back to the darkest beginnings of human history,” said SGP CEO Shon Bury.